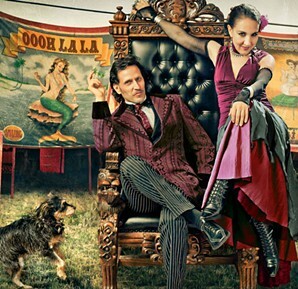 This story is a bit on the old side, but Yahoo! Sports took a look at Arizona's role as one of Major League Baseball's two Spring Training hubs (not to mention that it's been the site of games in the international World Baseball Classic), hosting baseball players from around the world, during a time when tempers have flared regarding immigration laws and reform. 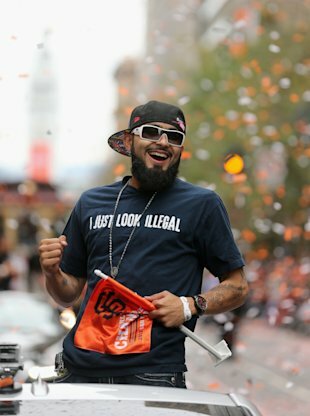 "I've been pulled over numerous times, driving a nice car," said Sergio Romo, the closer for the San Francisco Giants as well as the Mexican WBC outfit. "The first question is: What's your citizenship? The second question: Is this your car? And then: What do you do for a living? And it's like, 'Bro, you're Mexican just like me.' 'Ah, but I was born here.' And I say, 'So was I.' "
When the Mexicans play the Americans on Friday, the stands will be a mish-mash of red, white and blue interlocked with red, white and green. It's the sort of game that should be appreciated more for the underdog-vs.-favorite bent than any sociopolitical issues, and yet it can't be, not when Arizona finds itself in the news on seemingly a daily basis, the latest coming when federal officials less than a week ago released more than 300 of the nearly 2,600 people at Arizona immigration detention centers, more governmental saber-rattling in a battle that filters down in unfortunate ways. "It's just life in general," Romo said. "There are rules and laws we all have to abide by, and certain that we won't always accept or agree with. With due time, I think certain things will fly straight — or straighter. My one qualm with the piece? A line introducing tonight's last week's game that suggests that Mexicans are more disliked here than in any other state — though, truth be told, that may just be because I can't stand the idea of living in a state that's known as much for laws that are considered racist towards a particular group as it is the Grand-goddamn-Canyon. Correction: The game between Mexico and the United States took place last Friday, March 8. Mexico won, 5-2. My sincere apologies for the error.